This is page 35 from the book Grid Systems: Principles of Organizing Type. 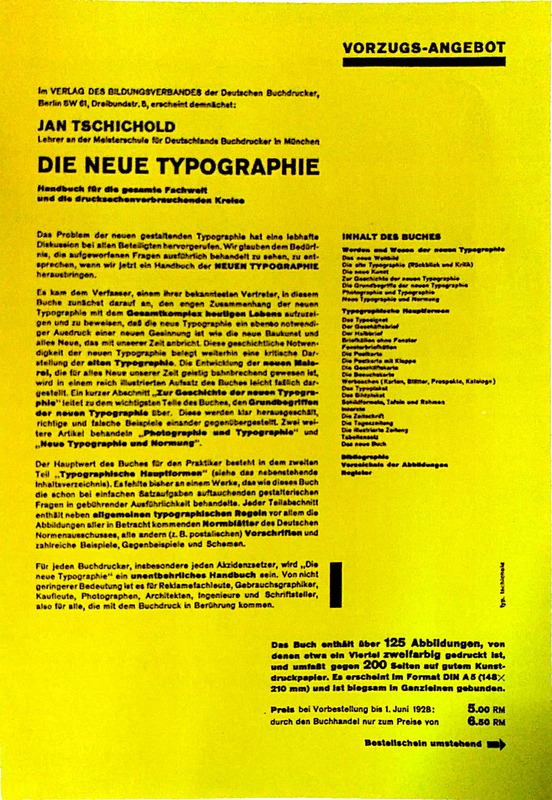 In this page author give us an example of the brochure for Die Neue Typographie. I can't understand how this grid system comes out? They mentioned there are two same width column overlapped and they have created a narrower column, but I can't see how they overlap, the overlay didn't show it. Very roughly: it looks like there is a basic two column set up as indicated at the very bottom ("column width"). Then to set up the left column, the designer "stole" 1/3 of the right column, and of that one third, used 1/3 for the gutter. This left 2/3 of a column for the upper right, and the bottom right is the original column width. The designer may have used a geometric series as an inspiration, or simply liked thirds. The scan is not perfect, nor squared off, so getting precise measurements is not possible without the original. If you are studying the grid system, I recommend you read and try to understand each example, but keep the image rather than the written description. Personally I think this book use a terminology a bit confusing in a reduced space when trying to explain something simple. 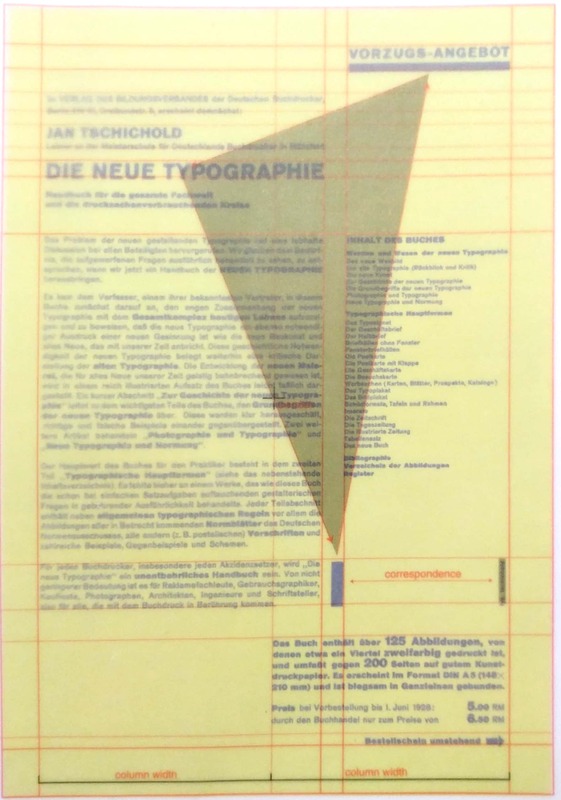 In the case of Ian Tschichold, he belongs to the post-Dada and pre-Bauhaus era, when the first graphic designers where experimenting with extremely structured grid systems and studying their possible breaks in composition. I don't know if there are two equal columns. When referring to columns there must be a separation in the center: the gutter. Here it doesn't exist, so I interpret more the page frame divided vertically in two. Building a horizontal golden rectangle in one of this halves gives the size of the lower right text box. 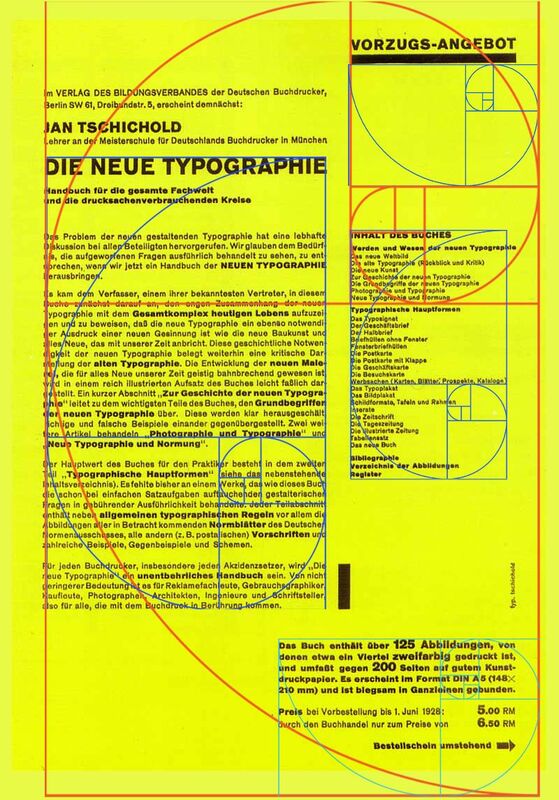 The rest of the text frames and margins are obtained following the guidelines and structural axis obtained from the whole page frame golden ratio. I think the final construction has a little more research than two simple overlapped columns. But, as written before, is a product of experimenting. Try to see the possibilities with the location of each compositional element, inside the grid or breaking it. Not the answer you're looking for? Browse other questions tagged typography grids or ask your own question. How do I decide how many columns to use in my grid?